Do You Know what is bad for Your Teeth? A survey of my pediatric patients reveals that they are well aware of which foods to avoid in order to keep their teeth healthy. Sugar is bad for your teeth! The kids explain that they should avoid candy, chocolate, soda, and gummies, but apples and cheese are acceptable snacks instead. Despite the knowledge these kids (and adults) possess, they often leave out food items such as: granola, potato chips, and pasta as potentially hazardous to the teeth. And so, I present two very important questions: Why is sugar bad for the teeth? And more specifically, What is sugar? Certain bacteria living in the mouth (primarily S. mutans) metabolize fermentable carbohydrates (a.k.a. sugars) when it is introduced into the oral cavity. This results in a decreased pH or more acidic saliva. When bacteria degrades “eats” sugar that is introduced into the mouth, the medium in which the bacteria live (e.g. plaque biofilm) becomes acidic in nature and dissolves essential minerals from the tooth surface. This weakened tooth surface can often become cavitated, think: acid erosion, commonly referred to as cavities. 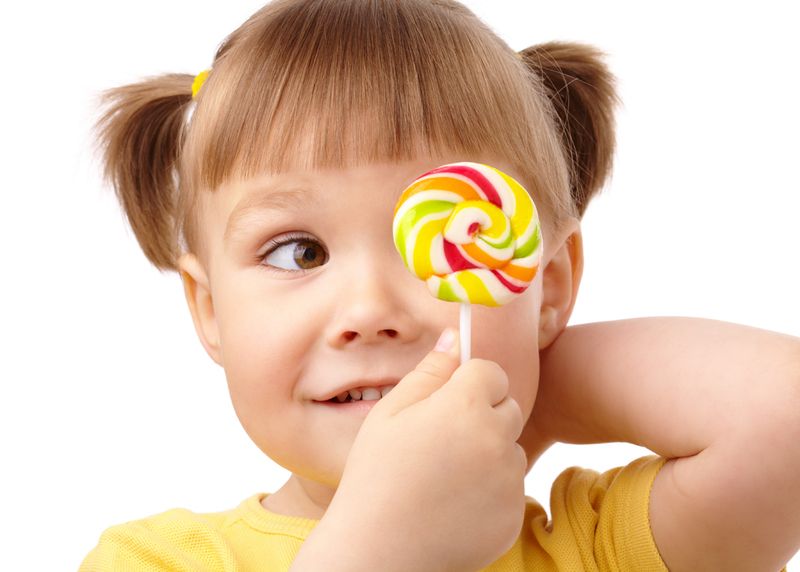 In other words, when fermentable carbohydrates (sugars) such as cakes, candies, chocolates, bread, bagels, pasta, and even fruits enter the mouth, they create a spike in acid production, which can essentially dissolve tooth enamel. To clarify, it isn’t the sugar itself, rather, it is the acid production affected by the sugar that is bad for the teeth. Often times when we think of sugar, we think of the candy bars next to the checkout line in the grocery store, but I want to redefine sugar in everyone’s mind to include sandwich bread, breakfast bagels, granola bars, pasta dishes and garlic bread, flavored yogurts, and even many sauces so that when your hygienist or dentist tells you to avoid sugars, he or she isn’t just referring to the soda and candy bar snacks. You may have noticed that I included fruit in the list of harmful sugars to the mouth. While it is true that fruit contains fructose and sugar alcohols which can increase acid levels in the mouth, most fruits are also high in water content, which helps to wash away some of the sugar. While I would never instruct an individual to avoid fruit as they are extremely healthy and irreplaceable, I do instruct my patients to rinse with, or simply drink water after eating in order to wash away some of the sugar from the mouth. As always, be sure to brush at least 2x daily and floss daily in order to reduce the bacterial count in the mouth. One more thing worth mentioning: Wait at least 30 minutes from the end of your meal to the time you brush your teeth to prevent self-inflicted damage to the enamel. Studies reveal that the acidic pH in the mouth occurs during mealtime, and continues for approximately 20-30 minutes after you finish eating. This means that if you brush your teeth immediately after eating, you not only move the acidic plaque bacteria around the entire mouth, but you can cause additional damage to the acid-weakened enamel from your toothbrush bristles during that time. Dr. Greger discusses the research behind fruit and oral health in his video on NutritionFacts. We’re not advocating avoiding fruits and breads, just keep in mind that you might want to brush your teeth after every meal. Certainly, sugar should be avoided. However, the best cure for good dental health is to regularly brush and floss. You’ll also be helping your mouth out but moderating on the sugar intake. Remember to go to Fill Your Plate for all your nutrition information and recipes. This entry was posted in Uncategorized and tagged Bread, Candy, Dental, Dentist, Health, Hygiene, Sugar, Teeth, Teeth Health. Bookmark the permalink. One Response to Do You Know what is bad for Your Teeth? Great Article! very informative for readers you write up very well all important things you covered in it.